Our second location is conveniently located in Gardner, KS–975 E. Lincoln Lane. Both of our service centers have the same quality of tires and services for you. EN-TIRE has been the go-to shop for all of your tire needs since 1999, and continues to provide excellent repairs and maintenance for all makes and models. We stand boldly behind our tire sales and service as the best in this area. For safe and comfortable driving experiences you should trust your vehicle tires to our experts. Tire selection depends on your vehicle’s purposes, your driving habits, and the terrain you’ll be driving. Normal road travel will wear your tires down eventually, but owners should not replace them with just any tire brand. Come to the tire shop that gives you top choice selection. EN-TIRE Car Care Center in Gardner, KS has a team of ASE Certified technicians performing all repair and maintenance services for your vehicle. Keep your car, truck, van, or SUV running smoothly by receiving an appropriate service plan. Preventative maintenance services are vital to keeping you on the road and avoiding costly repairs. By letting us perform your vehicle’s routine maintenance like oil changes, tune-ups, engine diagnostics, fluid services, filter changes, and inspections you’ll extend your vehicle’s road-life. Our customers are able to get the biggest return on their investment in comfortable road travel. Their vehicles benefit from the best quality parts for all repairs and parts replacements. We start every repair with an accurate diagnosis so you avoid unnecessary repairs. Your vehicle is your ticket to the open road! We make sure your vehicle is ready for every long road trip or daily commute. 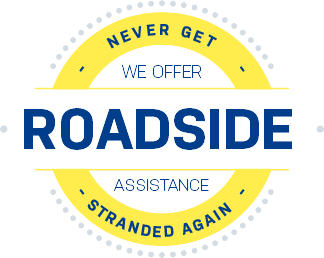 Come to us to make sure your tires are up for the task and able to keep you and your fellow passengers safe. We’ll provide thorough maintenance and complete repair services that protect your vehicle’s systems and help you retain its resale value. Give us a call today at 785-842-5500 with any questions or concerns about your vehicle’s overall performance. If you have questions or concerns about your vehicle’s specific tire needs, let us know. We’re sure to have exactly what you need!